Some people get Amazon packages in the post, some get postcards. Us? We get Afternoon Tea - its a hard life. This week we were lucky enough to get our hands on one of Delimann's unique Afternoon Tea gift packages. 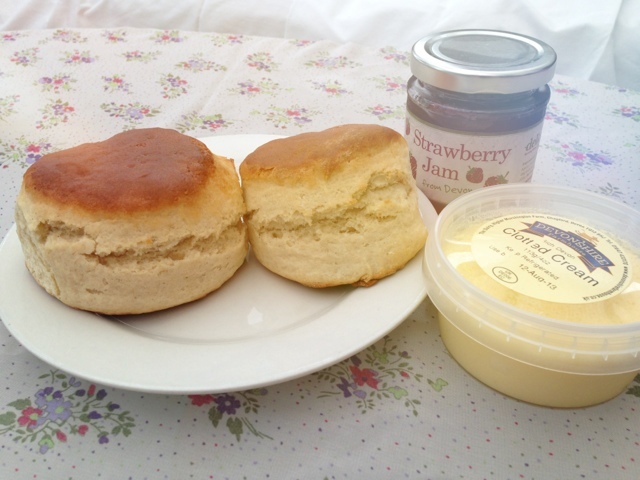 Sent directly to our door and packaged super carefully in a neat box full of cream tea goodness, this is definitely the kind of mail we like to get. 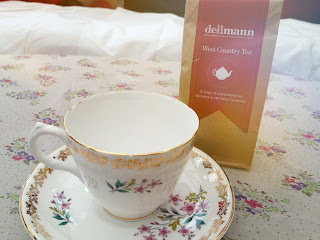 Delimann offers several different Afternoon Tea packages, including; picnic hampers, champagne tea and even a special Birthday tea complete with a mini celebration cake - adorable. We tried their Devonshire Afternoon Cream Tea which included everything you need for a real Afternoon Tea experience in the comfort of your own home - two plain scones with Devonshire clotted cream and strawberry jam, Tea Lover Biscuits, West Country Teabags and Devon Fudge. 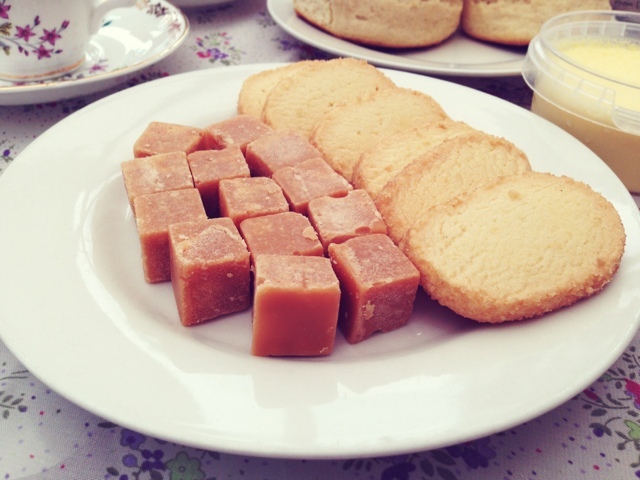 For starters, the great thing about this Afternoon Tea is there's very little preparation. Just simply heat the oven, pop the kettle on and grab your favourite cup and saucer. The scones smelled absolutely amazing whilst baking away and came out a lovely golden brown colour. They were a great size too, much bigger than I had anticipated which is never a bad thing where scones are involved! The scones really did taste just as good as they looked. Smothered in strawberry jam and Devonshire cream, they were absolutely yummy. I often find some scones to be a little heavy yet these were lovely and light and not too filling, even with lashings of cream - I may have gone a little overboard on that one but I think I my indulgence can be forgiven. I'm a huge fan of good old tea and biscuits too so I was very happy to see the packet of Tea Lover Biscuits tucked away in our gift box. This really gave the tea a charming, homely feel and there were plenty to go around. The biscuits were melt-in-your-mouth good and baked in cute bitesize portions - lovely. 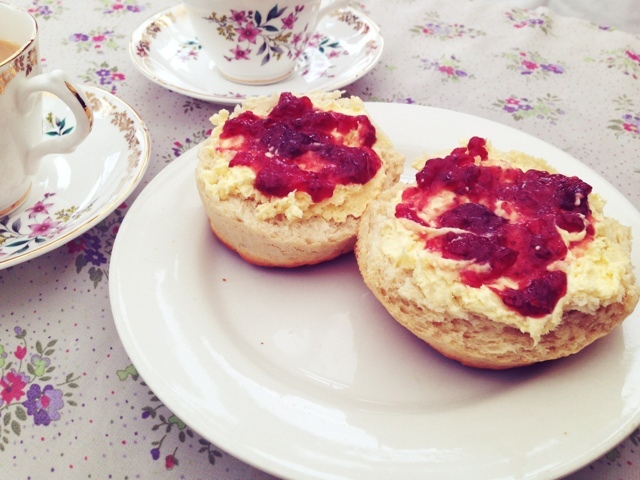 Jam and cream - it's a must. I must admit when I first spotted the Devon Fudge pieces I was slightly surprised as they're not a typical component to cream tea. 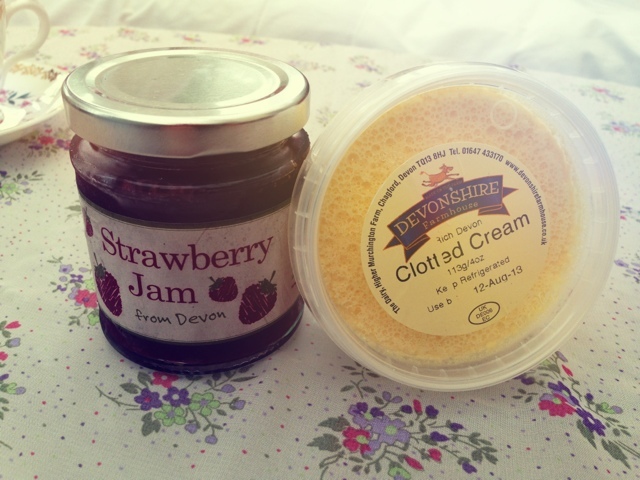 However, they were in fact a very pleasant addition - crafted with organic clotted cream, they blended really well with the Devonshire Cream theme. 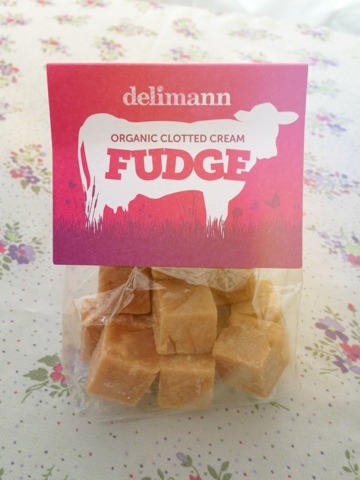 The fudge cubes were really smooth and sweet - perhaps too sweet for some palettes but for me they were a wonderful, unexpected treat. Finally, included in the box is a full packet of West Country tea - 15 teabags altogether. 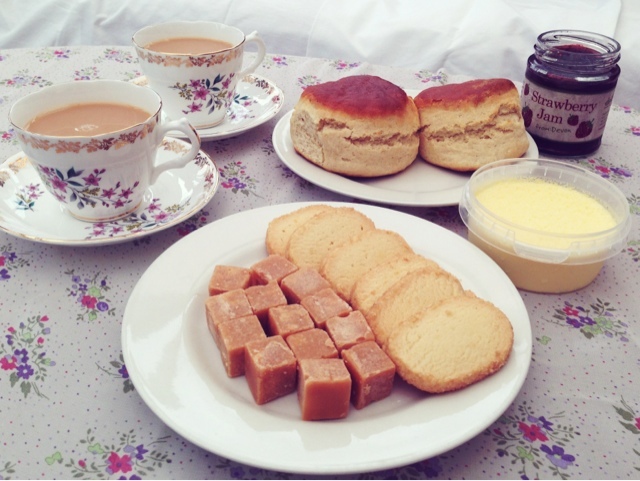 I really liked this because once the scones were finished with I could still enjoy this tasty tea days later with my morning cuppa - definitely value for money. 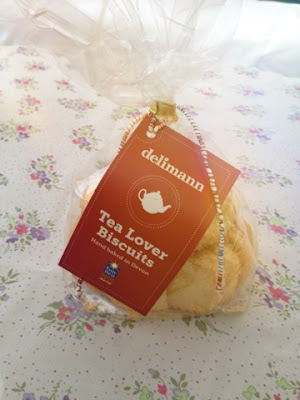 I very much enjoyed Delimann's Cream Tea. It was hassle free, super fresh and each part was served in really generous sizes. I would definitely recommend it as a gift for any tea lover - you never know, they may even share it with you.